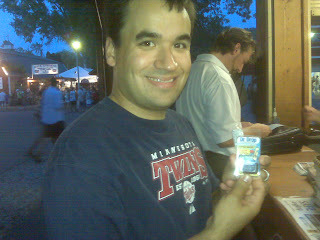 Yesterday Morgan and I went to the Minnesota State Fair for dinner! And of course we had a blast eating our way through the fair. It was great to finally go have fun without worrying about homework and school. We left after Morgan came home from work. We used the free park and ride which worked super great and the icy-cold buses were super nice since it was 90+ degrees outside. We got to the Fair about 6:00 so the sun was setting and it was a little-bit cooler than it had been. We specifically decided to go Monday night so the crowds would be as small as possible (if you want to meet a super crabby Morgan and Nicole - take them to the fair when its super crowded and hot - the tiny amount of patience I have disappears pretty quickly). 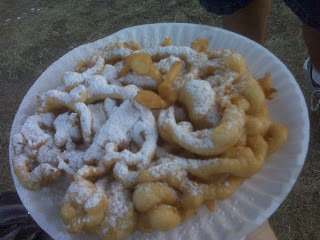 The first thing Morgan and I did was get our very favorite food at the fair - French Fries! 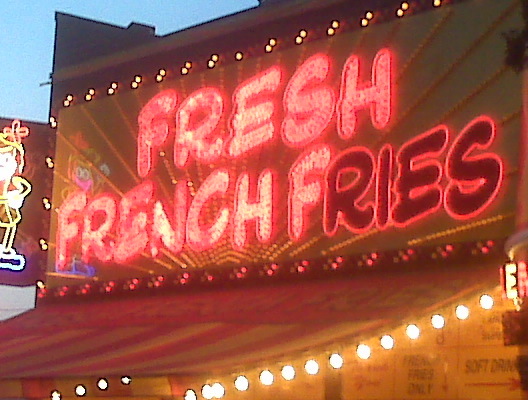 Not just any french fries, the ones from the giant french fry place near the haunted house. They were perfect. For those of you who haven't been to the fair, these fries are FRESH! The people in the back are washing, peeling, and slicing the potatoes. Then they are fried right in front of you. Add a little salt and ketchup and BAM you get the perfect french fries. 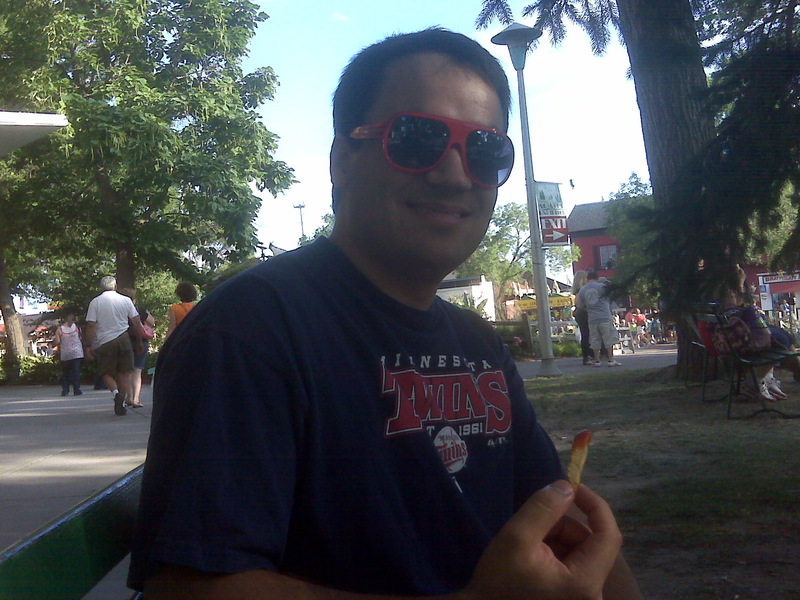 Morgan enjoying his favorite fair food - fresh french fries! The best french fry place. Next we went to the Midway and played a bunch of games. We won a new little toy for the dogs. 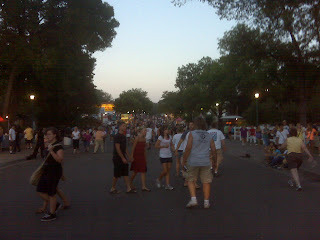 Then we continued to eat our way around the fair while stopping in to many of the buildings. We ate Pronto-Pups (the best corn dogs around), my favorite - funnel cake, real root-beer, and warm soft pretzels. We only stayed for a couple hours since it was so hot, but we ate just enough to not get sick but still make it worth the hassle of the crowds. Morgan's dad, Pat's, fishing supplies were on sale at the DNR building, which was super exciting to see. 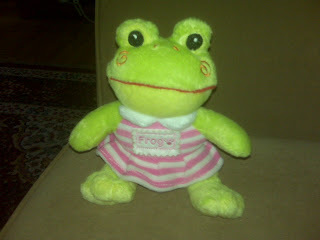 The dog's new toy - if you look close the dress says "Frog" but has a dog paw print right next to it. Super Weird :-? 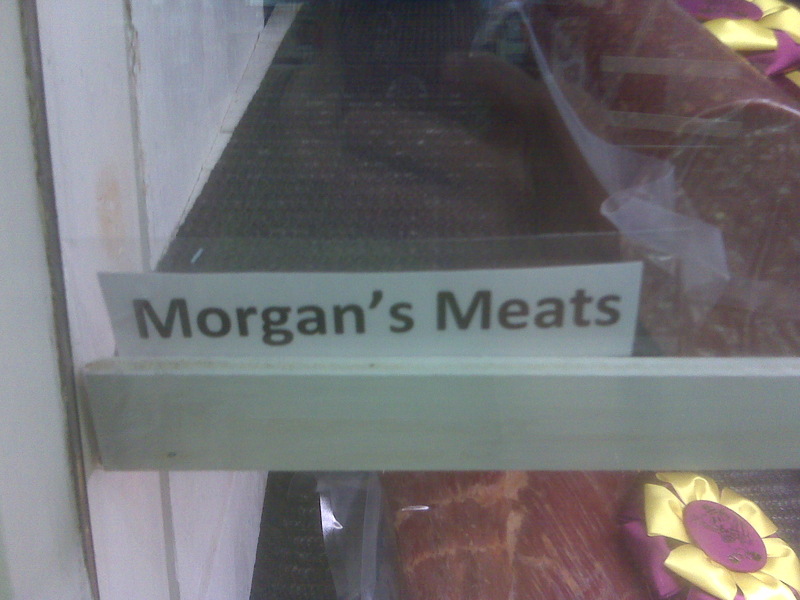 Morgan's Meats won a ribbon in the dairy building. I have never seen the fair with so few people - it was really nice. We hardly had to wait in line for anything. Mmmmm. Straight out of the frier - funnel cake!! All in all we had a great time and I can't wait to go again next year. For those of you in MN I highly recommend going while there is still time. 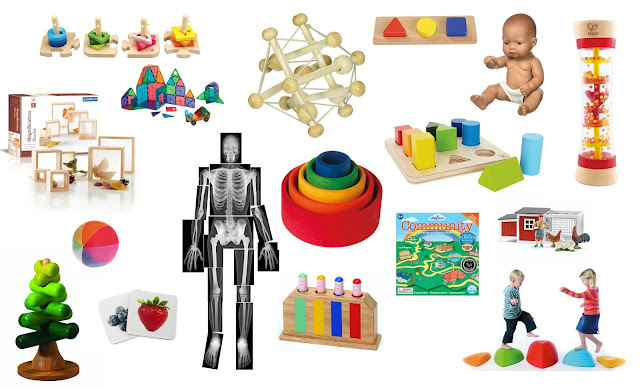 And for those of you farther away, plan on coming next year!